You are currently browsing the Bookmobile News weblog archives for February, 2015. 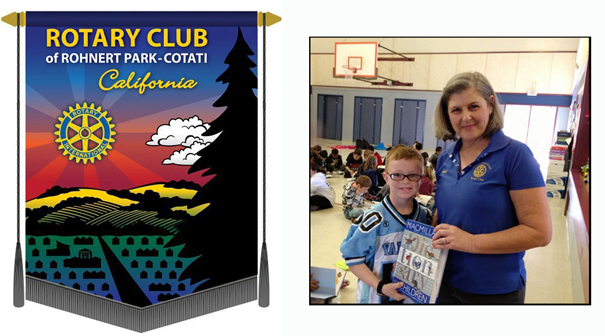 We have been fortunate to receive support from several Sonoma County Rotary clubs since our launch back in 2009. Rotary Club of Rohnert Park-Cotati was particularly helpful a few years ago in referring us to Downtown Autobody, which later applied our vehicle’s beautiful green paint job completely free of charge. We’ve also had a positive promotional relationship with member Irene Hilsendager’s media outlets, and member Tommy Sullivan has been looking after our rubber out of his Commerce Boulevard Big O’ Tires shop.